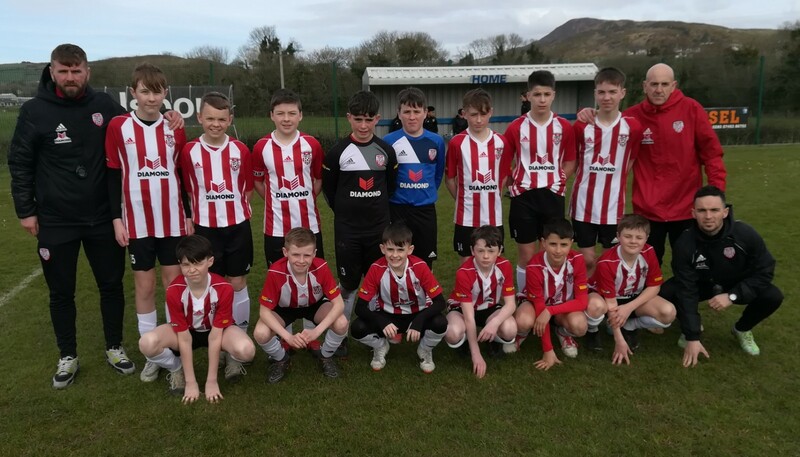 Derry City under-13’s rescued a 2-2 draw against Sligo Rovers in an entertaining contest at Aileach on Saturday afternoon. Paddy McCourt’s youngsters found themselves a goal down at half time and the Bit O’ Red probably felt they had done enough to win the game when they doubled their lead heading into the last ten minutes. Brandon Crocket had other ideas however and he added to his goal last week against Cavan and Monaghan with a double here. In the end, City might feel they could even have nicked the win after Crocket and the influential Reece Monaghan had turned the game late on.